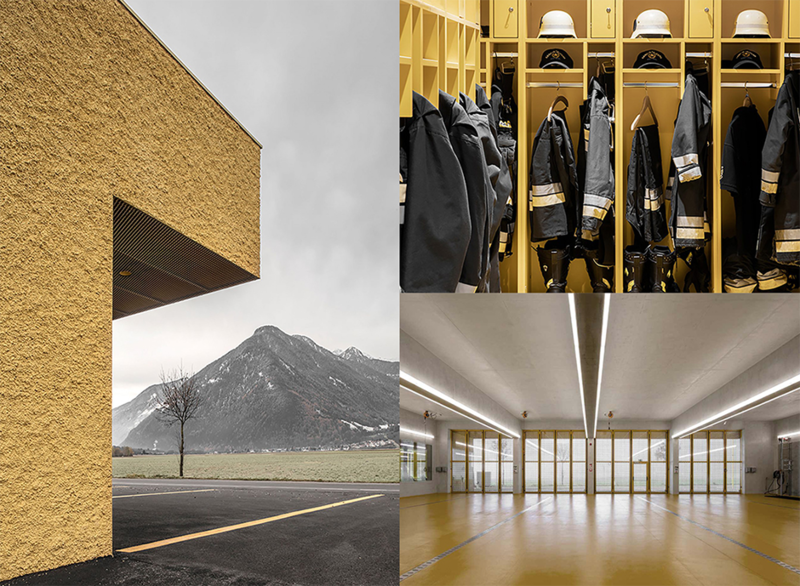 These monochromatic constructions were designed by Pedevilla Architects, known for the simplicity and intelligence in their designs, linking the interior of the fire stations with their exterior and surroundings. 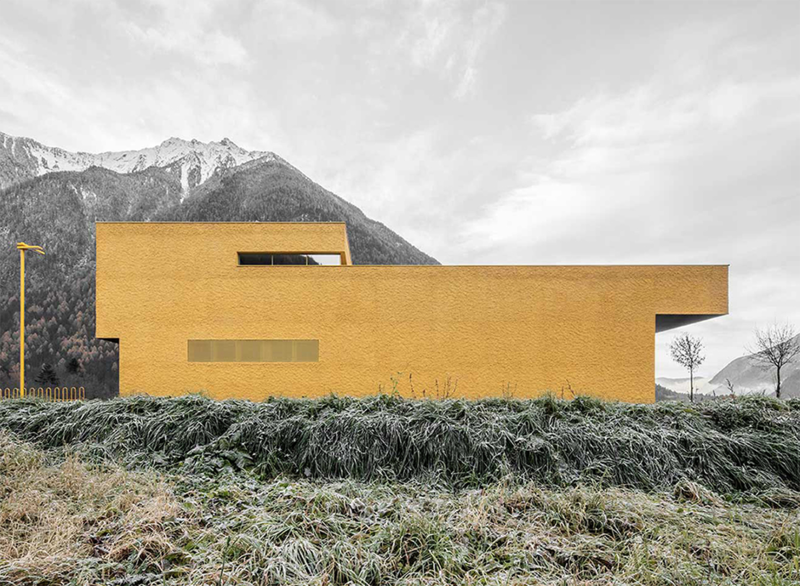 The mustard-yellow building is casting a golden glow across the mountains of Vierschach in South Tyrol, Italy. 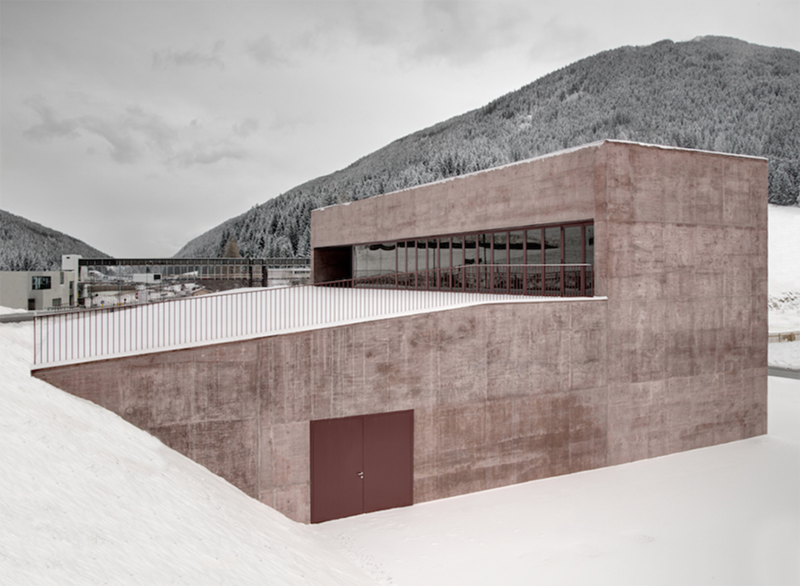 The rose-tinted construction is located in Northern Italy, where it warms the snowy landscape of Taufers. 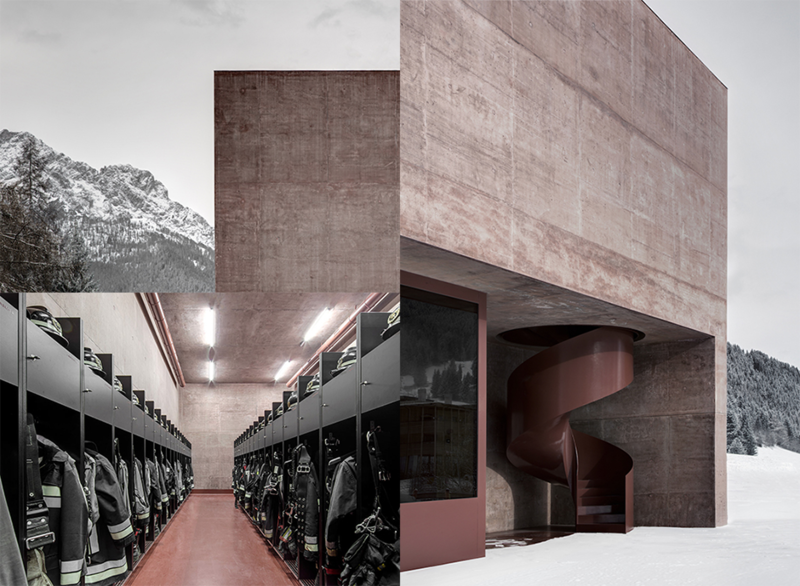 The rose hue is intended as a twist on the fire station's traditional blazing red coloring, and a spiraling staircase replaces the customary fireman's pole. 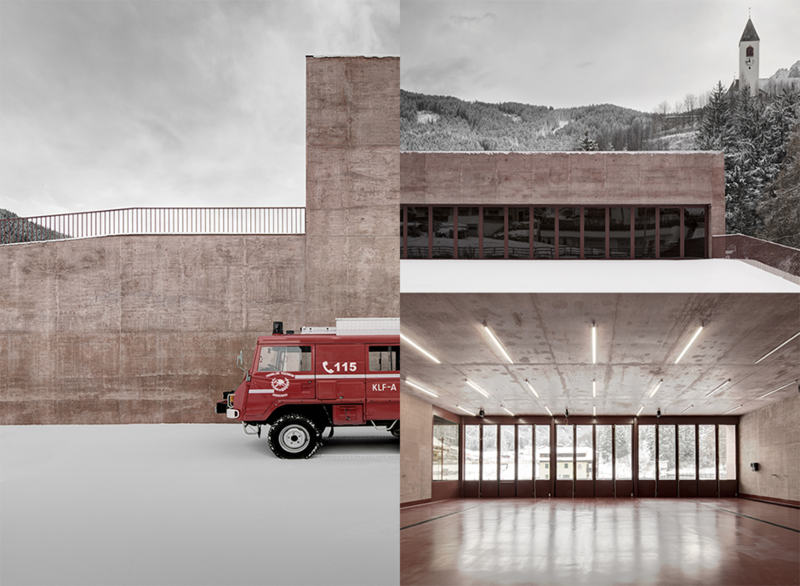 All surfaces have been realized with pigmented concrete to give the building a muted yet distinct coloring, and to remark it’s monolithic character. As for the interiors, large windows allow maximum natural light, they are free from decoration and light wood interiors soften the monochromatic color-schemes. Are you an architect and interested in our color expert's advice for your project? Feel free to contact us. 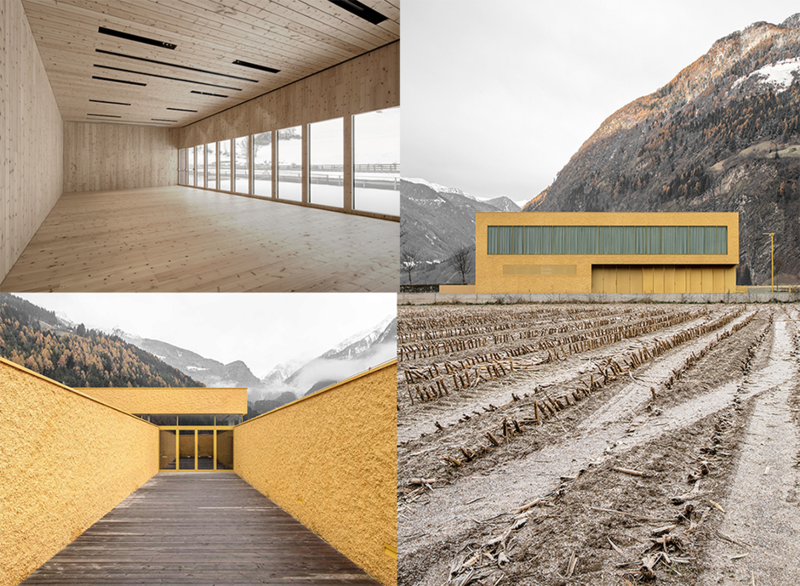 All images © Gustav Willeit.